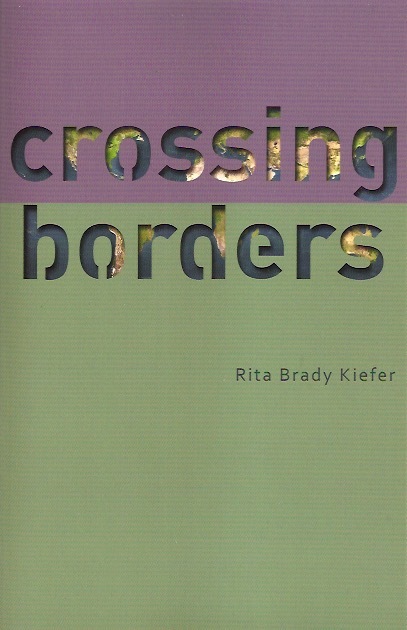 My new book, Crossing Borders is the testimony before the enduring question: how real are the borders separating human from human, human from animal, human from the divine? 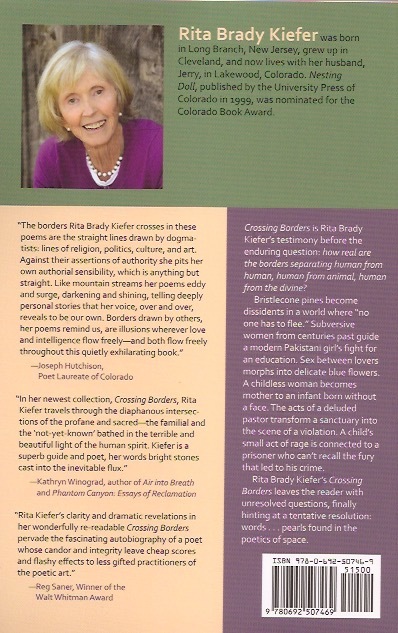 In addition, my writing can be found in many publications including some 200 poems that have appeared in numerous national and international journals, notably Connecticut Poetry Review, Ploughshares, Cimarron Review, Southwest Review, Bloomsbury Review, and the Spanish publication, Anfora Nova. In addition, some poems, translated into Spanish, were published in Argentina and Spain. “Like This” formed the text for a composition recorded on CD by the Ars Nova of Colorado. Manuscripts for a full-length poetry collection and for a chapbook are currently circulating, as is a memoir, Beyond Unveiling. My Name Is Not Eve, an original play based on the lives of four survivors of domestic violence, was performed in Denver as a fundraiser for Gateway Shelter for Battered women. Three other Colorado productions of Eve were performed as consciousness-raisers.